How to sum up 2006? That's a tough one. Watershed year? Major landmark in the history of IMG? Pivotal point in our growth as a guide service? YES! 2006 was all of this and more. After years of preparation and planning, the National Park Service issued a prospectus for two new guiding concessions on Mt. Rainier. This went out to bid in February, and we put in three very long months working on our submission. In November, our efforts came to fruition and IMG was awarded one of the new permits. 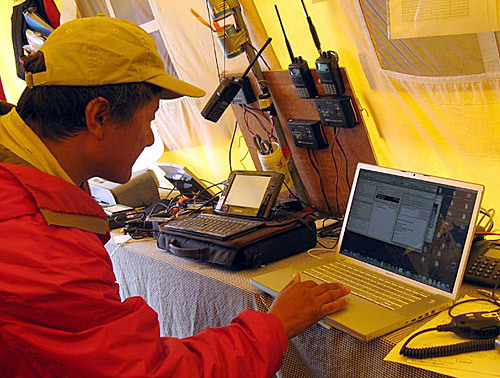 We are very, very happy and now very, very busy getting ready to run a full service guiding operation on Mt. Rainier. We'll be ready to go in early spring and will be running a full spectrum of new and innovative programs. We promise to continue to hold our Rainier trips to the same high standards, guided by the same great guides who lead climbs for us around the world. Most important for us, we are now back home, guiding on the mountain where we all started our guiding careers over 30 years ago. Yep, I think I WILL reach 500 successes on Mt. Rainier after all. I figure it will be towards the end of the summer of 2008 if all goes well. I'm at 483 right now. Don't wait for two years to come climb with us, though. Help us kick off 2007 in a big way by visiting our new facility at the base of Rainier in Ashford, WA and participating in one of our climbs on The Mountain. We have GREAT guides, we guide at a ratio of one guide for every 2 climbers on ALL our Rainier trips, and we offer a wide assortment of programs to give you more options to best fit your needs. So, now I have two full time jobs. Working on the new Rainier business doesn't mean I gave up climbing around the world. 2006 was a very busy and successful year of climbs and programs for me. Highlights include the Machu Picchu Trek in Peru with my 16 year old son, Jimmy, in July and August; a new route on a never before tried side of 16,000 foot Mt. Bona in Alaska in May; great climbing in the Pacific Northwest on Rainier, Mt. Adams and the North Cascades; the ever popular Ouray Ice Climbing; Mt. Whitney via the Mountaineer's Route; rock climbing programs to Joshua Tree and Smith Rocks and lots more. I'll be Chief Guide on Rainier this coming summer, but I'll be returning to my favorite haunts plus a new trip or two. I'll hope to see you on Mt. Whitney this March; Alaska in April or May; and Rainier, Mt. Adams or the North Cascades this summer. Let's hook up for a climb! George is simply the best at what he does. Hands down. George's trips are well planned, he doesn't miss any details. George puts the safety of each person first and foremost. 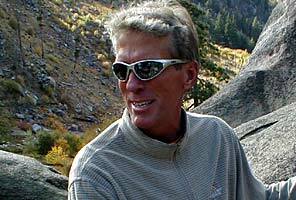 If you want to learn from the best, climb with George Dunn. 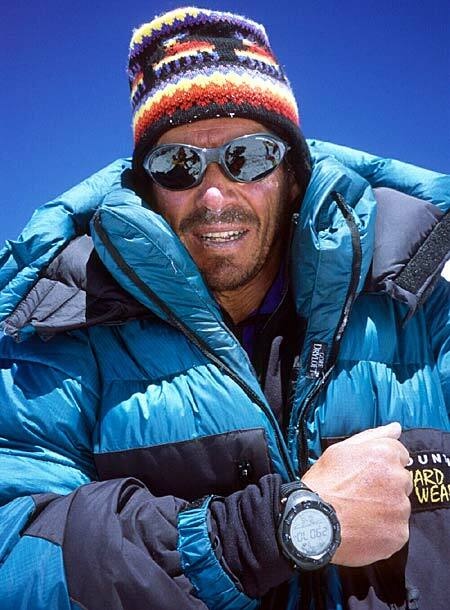 2006 was an excellent year for the programs that I personally organize, and I am very proud of our successes on Everest, Cho Oyu, Gurla Mandata, Ama Dablam, Carstensz Pyramid and with our Kilimanjaro programs (which I direct with Phil Ershler). Thanks to all the people who worked hard to make these trips successful! On the home front, after years of hard work, our persistence finally paid off with the new Rainier concession permit. In particular, I want say thanks to my wife Erin for her support and assistance making this dream of mine finally a reality. Now that the dust has settled a bit, it is time to focus on executing our strategy for building the best Mt. Rainier guide service, period. The single most important thing that has set IMG apart from our competitors for the past 20 years is the IMG owners' long personal involvement in every aspect of our programs, and our personal accountability for providing a quality experience to our customers. We impart our philosophy of customer service to every member of our IMG team, from the entry level guide to our most senior staff. Rainier will be no different from what we have been doing for over 20 years on our international programs--- we hire the best people we can, we treat them well, and we put our customers first. I'll look forward to climbing with you again internationally on the world's great mountains, and on Rainier ("The Mountain" to those of us in Washington State)! Writing this year's annual report less than a week after returning from Ecuador. Another incredible team of climbers and another incredible trip. However, I'll be giving you the rundown on those climbs in the 2007 annual report. Don't want to get ahead of myself. Plus, there's more than enough to talk about in 2006. I'm sure each of the IMG partners will be mentioning the bit of good news we had regarding Mt. Rainier in 2006. As a bit of background  in 1998, Congress mandated to the National Park Service (NPS) that competition was needed in concession systems in all the Parks. A process began which eventually led to the release of a Prospectus by the NPS in February 2006 for the awarding of two new concession contracts to guide climbing trips in Mt. Rainier National Park. IMG had 3 months to respond to the best of our ability for this long-anticipated, new concession contract. After long, long deliberation by the NPS, IMG was selected in November 2006 as one of the guide services to be awarded a new contract. We are delighted to see over 30 years of commitment to Rainier rewarded with this new opportunity. So, above all, join us in 2007 as we climb Rainier under the IMG banner. Check out our new Rainier web site pages. 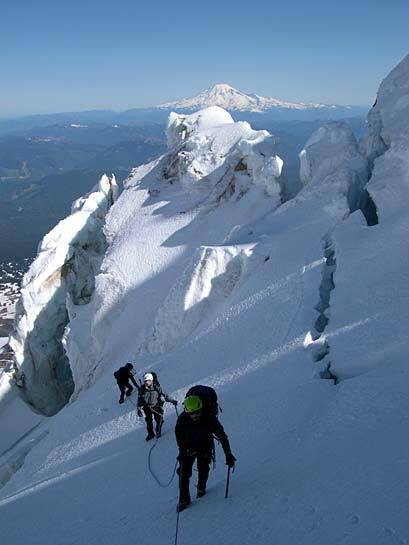 When you climb with IMG, you'll climb Rainier with IMG guides (second to none!) and at a 2:1 ratio. We intend to set a new, higher bar regarding safety, success and ENJOYMENT on Mt. Rainier. We also added to the strength of IMG with the addition of Mike Schiller to our staff. Mike is a three-time IMG client with a long business resume and we're pleased that he agreed to join the IMG team. Mike's business skills will add immeasurably to the IMG office. He joins Tammy Gorman down in our new headquarters in Ashford. Tammy keeps all the partners on the straight and narrow and even joined us on Kili in September. We're sure all of you have appreciated her help as you registered for an IMG program. The international climbs I oversee also had great success. I led some climbs, and guides from our incredible IMG staff led others. I wouldn't want to be in this business if I couldn't continue to get out and climb personally with our customers. 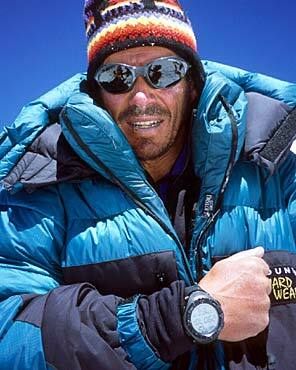 McKinley, Rainier, Elbrus, Kilimanjaro and Sikkim were climbs I was able to lead personally in 2006. There will be more in 2007. Let's rope up together in 2007. Maybe Rainier? 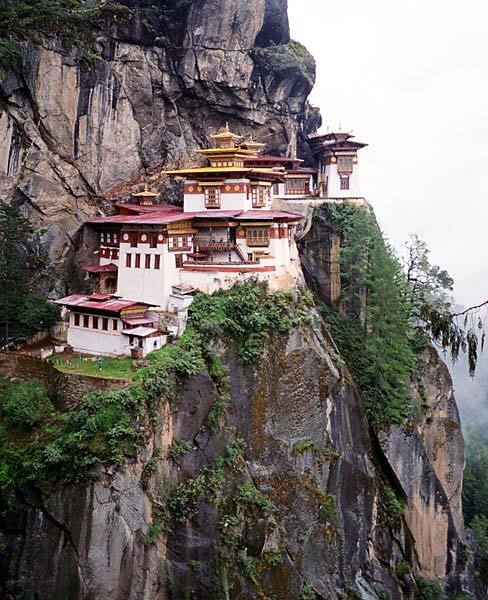 Or, how about trekking with me in Bhutan in October? Or, Vinson Massif in November? Too many adventures and not enough time. Let's go NOW! Well, it may have been close to 10 years in the making but I am proud to say that IMG now has a new concession contract on Mt. Rainier! We, of course, had to celebrate that success. Lynn and I hosted our guides, advisors, friends and supporters at our Enumclaw home when we heard the news. To all who attended  none of this would have happened without your support. Now our challenge is to provide the quality of experience on Rainier that our customers deserve and have come to expect. The quality and attitude of the IMG guide staff will make all the difference! Our close association with John Kircher and the Crystal Mountain Ski Resort continues. 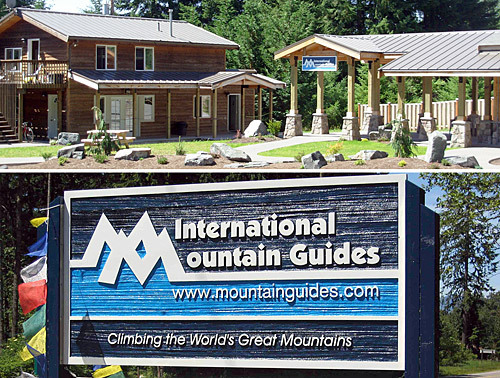 IMG will base all our Emmons Glacier programs out of Crystal Mountain and the Alpine Inn. Have you ever seen the view of Rainier from the top of the Resort? It has to be one of the most spectacular views from any ski area in the world. We're having a great snow winter and my days have been more than a little busy as a result. But hey, that's all good. Makes for incredible skiing at a great ski resort and it bodes well for climbing conditions on Rainier this coming summer. The IMG Level I-III avalanche training, which I direct, are run out of Crystal Mountain and Mt. Rainier itself. 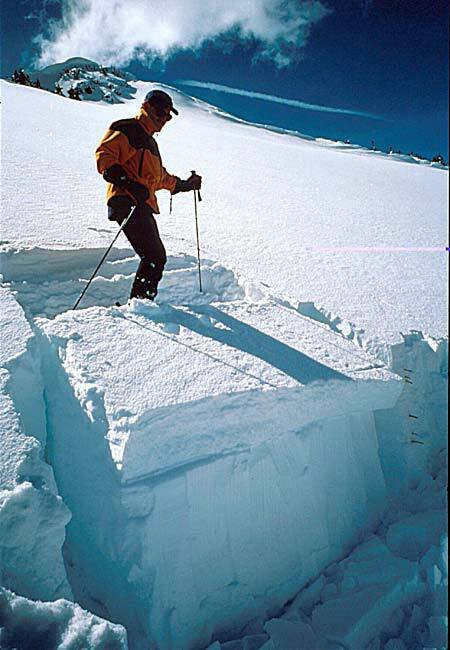 If you're a climber or backcountry skier, make sure you've completed this essential training. Let's make our mountain experience as safe as we can. So, if I don't see you up at Crystal this winter skiing or in an avalanche course, I'll look for you this summer up on Rainier. Drop by our new Ashford headquarters. Join our guides for a truly enjoyable Rainier experience. How can anyone live in Seattle and not want to climb Rainier? Make this the summer! Two climbs - two summits! Both led successfully by IMG Senior Guide Mike Hamill. 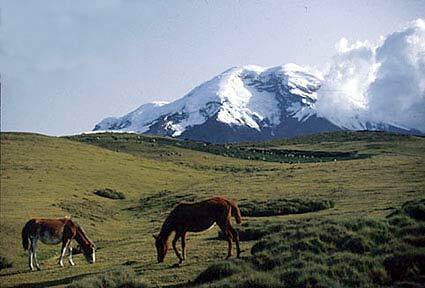 The January trip followed the Guanacos Valley and the February trip went via Plaza Argentina. And, not a scratch  good job all! IMG continues to climb Aconcagua as it should be climbed. We are trying hard to not make Aconcagua into a glorified trekking trip. This is a serious climb and should be respected as such. 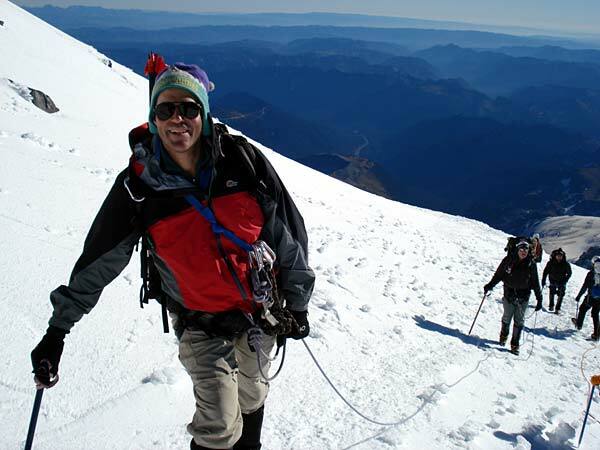 When you're ready to CLIMB Aconcagua, call us. Our successful members can look back on their trip knowing that they were contributing team members, sharing the work, the chores and the rewards. They truly earned their summits! 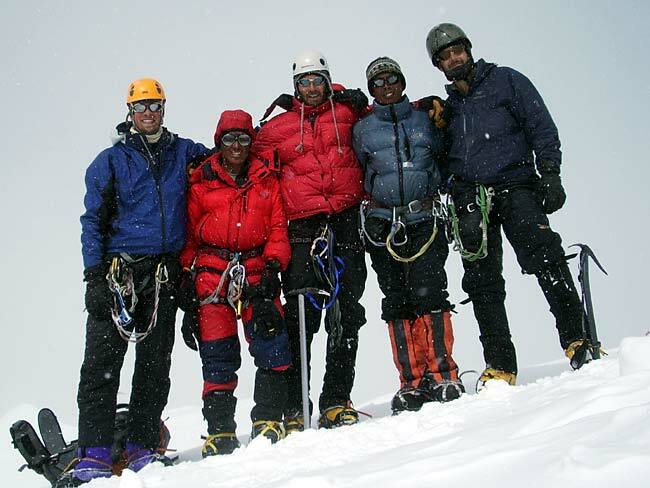 Congratulations to our January 2006 team  guides Mike Hamill, Anne Keller and Eric Stevenson, climbers Chip and Sharon Allen, Chris Burrows, Craig Dean, David Ferreira, John Thompson, Michael Dunbar and Ted Fairhurst. Congratulations to our February 2006 team  guides Mike Hamill and Olivia Cussen, climbers Al Hancock, Alan Pace, Dan Jones, Patrick Gahan, Tom Hartley, Tim Medvetz and Timothy Warren. IMG conducted both an Avalanche Level I and a Level II course, in mid and late January at Crystal Mountain. The field sessions required realistic snow stability evaluation and route selection in true high hazard avalanche conditions. The perfect way to get hands on experience! Both courses were very well attended. Lead instructors were Paul Baugher and Mark Moore, meteorologist and Director with the Northwest Avalanche Center and Chet Mowbray, Avalanche Forecaster with Crystal Mountain. Congratulations to our participants: Chhuldim Sherpa, Monica Morin, Jordan Roderick, Wendy Pabich, Ann Stover, Wesley Watts, Paul Campbell, Helen Arntson, David Gordon, Jennifer Miller, Craig Adams, Alicia Sullivan and Marc Hartung. Lead instructors were Paul Baugher and Mark Moore and Knox Williams, meteorologists with the Northwest Avalanche Center, Chet Mowbray and Doug Blanchard, Avalanche Forecaster with Crystal Mountain. This instructor staff brought over 85 years of professional avalanche forecasting experience to the training. Congratulations to our participants: Donald Thompson, Mindy Roberts, Mark Hallman, Johnny Williams, Jeff Owen, Kari Pederson, Andrew Toyota, Mason White, Andrea Johnson, Monica Morin, Justin Litzer, Jamie Flanagan, Catherine Davidson, Matthew Cline, Jeremy Ellison, Martin Babare, Mark Weeks, Kenneth Puhn, Matthew Bedrin, Christopher Meder, Mark McDuff, Tobae McDuff, Donald Peterson, Joseph Elsholz, Maria Lee, David Gordon, Paul Campbell, Wendy Pabich, Chhuldim Sherpa, Joshua Frazier, Gavin Cummings, Andrew Nicholls and Brad Urban. 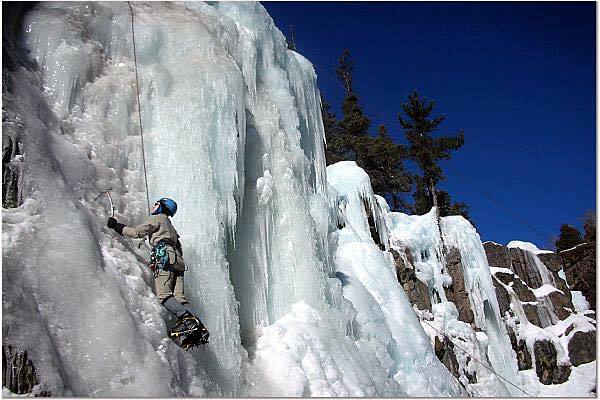 The year always starts off with Ice Climbing Programs in Ouray Colorado, running throughout the months of January and February. Check out the fun at Ouray, CO. We now see as many repeat climbers as we do first time climbers, a sure sign that this program is a winner from start to finish. Special mention needs to go to my main crew of guides in Ouray: Jeff Ward, Jake Norton, Ben Marshall, Matt Farmer, Chris Booher and Justin Merle. Cameo appearances were put in by guides Charley Mace and Zoe Hart. There isn't a better team of guides to be found than these veterans. They make learning a new sport downright fun and returning again a priority. Ouray private January 2-6: Kirk Allen, David Golden, guide Jake Norton. Thanks so very much for the GREAT climb with Jeff, Justin, and Farmer this past week. It was my first experience ice climbing and their professionalism, expertise, and instruction really helped me reach beyond my expectations. I'm hooked and hope to make it back next year! Ask any of our past customers about Ecuadorian guide and friend, Romulo Cardenas. They'll tell you that our association with him makes this trip. There's nothing about his country which he doesn't know and he takes great pleasure in showing our teams more of Ecuador than just summits. This is a perfect trip to bring along a non-climbing spouse or partner. This trip consistently fills so sign up early. 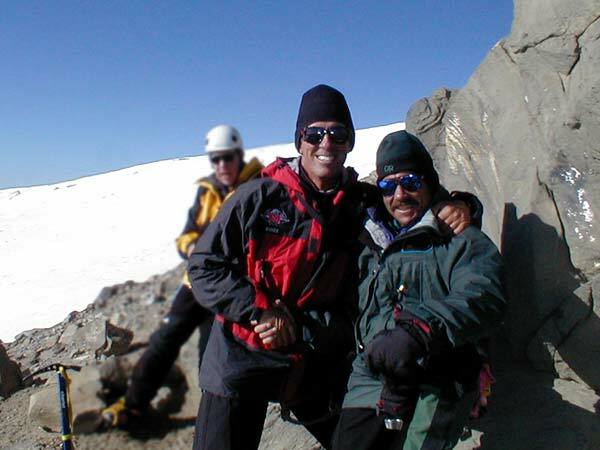 Congratulations to our January 2006 team  guides Phil Ershler, Romulo Cardenas and Julian Larea, climbers Mike Schiller, Robert Lowry, Brett Merrell, Doug Littrel, Craig Warner, Darrell Fryer, John Knight, Kurt Bauer, Ken Poniewaz, Mark Garland and Mike Lakotish. I've been going to Mt. Whitney for over 10 years now. I never miss doing two of these climbs. Whitney in the spring via the Mountaineer's Route is a great climb from start to finish. All snow, getting steep near the top. It is a great challenge and a nice program that makes for a short getaway in late March and early April. Check out the photos from Mt. Whitney. Yes, it really is that spectacular and that exciting. It gives us great pleasure to continuously say that since our first trip in 1989, we have never, NEVER missed the summit. And, that's with no serious accidents! You simply can't not enjoy this climb. It has everything  an exotic location, one of the Seven Summits, open to most skill levels and, it's followed with a GREAT safari as our reward. 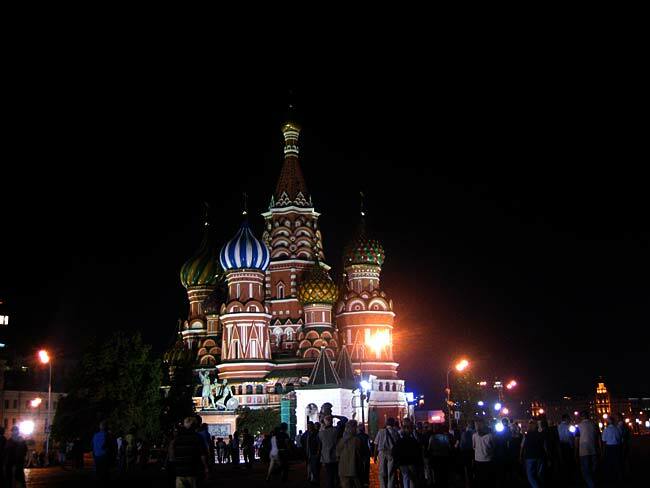 Check out this report from one of our September 2006 team members. If this doesn't get you excited, we give up. This program is a great value as compared with programs you might find offered elsewhere. Each trip is led by an IMG Senior Guide. 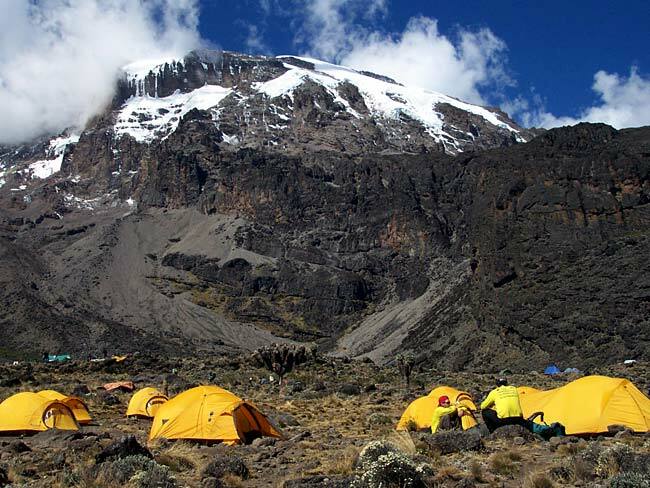 We carry a Gamow bag, pulse oximeter, emergency oxygen bottle, radios, and a sat phone on the climb and we take a full SEVEN days for the climb, allowing plenty of time for acclimatization. All Park fees are included in the price as well as the flight to begin or end our safari. Congratulations to all our 2006 climbers. And, thanks for keeping our record of successes intact. January/February  guides Jake and Wende Norton, climbers Lori Loberg, Jeff King, Lani-Kai Swanhart, Kevin Russell, Jennifer Pharr, Martha Noerr, Rodney Nelson, Jeffrey Keane, John Howell, Derek Frank, Benjamin Foust, Jim Causey, Nicole Areson, and Arthur Adams. June  guide Adam Angel, climbers John Paul Bertinet, Lisa Biffen, Eric Brunt, Michael Brunt, Elisabeth Carrillo, Fred Hrenchuk, David Kaercher, Daniel and Theodore Keyport, Michael Kline, Kristine Lombardi and Maria Roa. July  guides Jason and Karina Tanguay, climbers Cricket Wardein, Gregory Hirsch, James Clark, Jeffrey Rand, John Finley, Meg Garlinghouse, Michael Samuelson, Thomas Conneely and the Kent McClelland family with Kent, Devon, Chandra and Kera. August  guide Lindsay Reither, climbers Bonnie Chase, Sam, Samantha, Spencer, Molly and Susan Reckford. September  guide Phil Ershler, climbers Alpana Arora and Bhavesh Pavel, Robyn Garrison, Kim and John Kircher, Tammy Gorman, Lynda Wallin, Lynnette Payne, Paul Lucky, Robert Lowry, Terry Snowden, Walter Flood, Laura Ritchie, Robert and Kerry Perissi. December  guide Mark Tucker, climbers Kurt Bonhamer, Darrah Horgan, Glenn Jarstad, Dyana Marlett, Nadera Osmani, Kathleen O'Toole, Dineshkumar Patel, Silver Wilkie, Brooke Wilson, Jennifer Wolfe and Hunter, Megan, Magee, Tara and Casey Land. Mt. Bona May 14-25: Jonathan Mirsky, Christopher Ross, Douglas Evertz, Matthew Zetumer, Steven Lampert, Graham Barnes, David Bonnouvrier, Norman Rosensweig, Nathaniel Goldberg, guides George Dunn, Olivia Cussen and Ben Marshall. We didn't manage to summit due to poor weather at the end of the trip, but I'll be back in May of 2007! Since 1991, we have conducted thirty-seven 8000 meter expeditions and have seen over 260 climbers reach the summit of these peaks, including 95 on Everest. 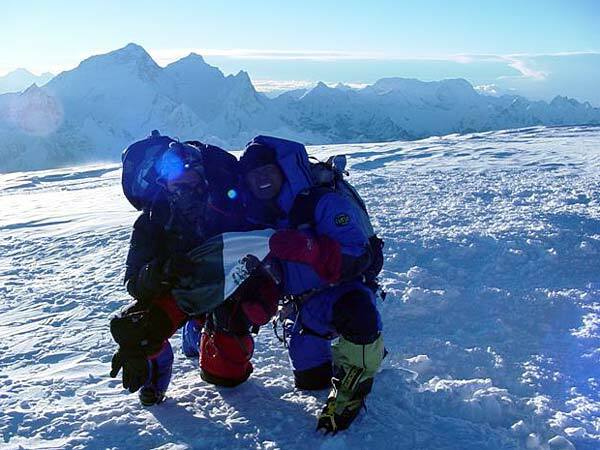 Our 2006 Everest Expedition was the nineteenth Everest expedition that I have personally organized and this was the most successful trip yet, with THIRTY climbers reaching the summit on five separate summit bids between May 17-24. The expedition was exceptionally led once again by Mark Tucker and Ang Jangbu Sherpa, two of the finest leaders on the mountain. Of special note, three women reached the top on this trip  congrats to Brenda Walsh, Fiona Adler, and Sophia Danenberg (who becomes the first woman of African heritage to reach the summit). 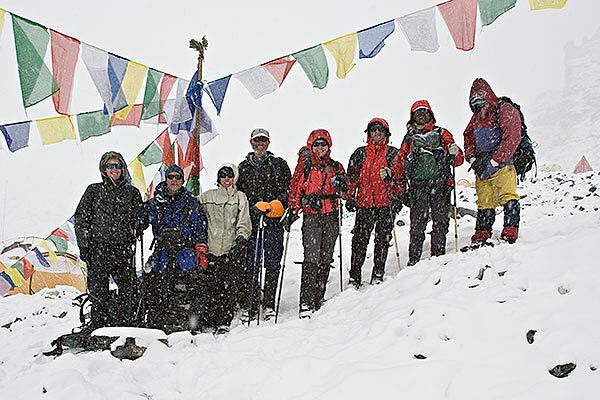 We also had a very successful trek team accompany the climbers to Everest Base Camp, where they stayed for a couple days celebrate the puja ceremony with the team of climbers and Sherpas, which is the traditional "kick-off" to the climbing. After visiting Base Camp, some of the trekkers extended their trek by another week to allow them to climb 20,305 ft Island Peak, a beautiful climb located up the adjacent Imja Khola Valley. Finally, after acclimatizing on Island Peak, our Khumbu Icefall climbers came back up to take a shot at making it up to Camp 2 in the Western Cwm, over 21,000 feet. Leaders Mark Tucker and Ang Jangbu and "coaches" Dave Hahn and Justin Merle. 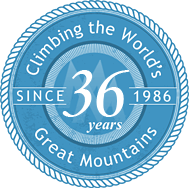 Non-guided summit climbers: Dennis Kellner, James Gagne, Jean-Francois Carrey, Fiona Adler, Paul Adler, Bud Allen, John Turner, Brenda Walsh, Walter Laserer, Markus Buel, Karl Flock, Sofia Danenberg, Daniel Griffith, Jack Gerstein. 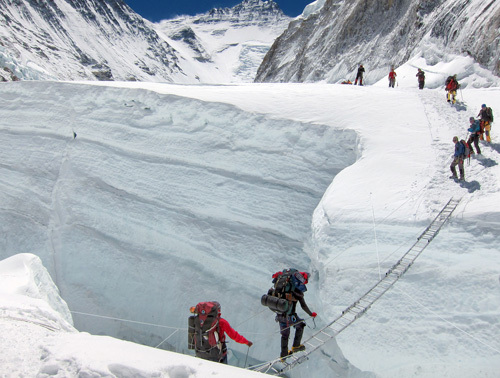 The world's sixth highest peak is IMG's specialty. Since our first trip in 1995 we have seen 153 climbers reach the summit of Cho Oyu with our IMG teams on the 16 expeditions that we have conducted via the original 1954 route from Tibet. We invite you to compare our program with any other on the market, and we challenge you to find a better led and better supported trip, at ANY price tag! We are confident that the more you shop around, and truly understand what you are buying with your hard earned money, the more you will appreciate the amazing service that IMG offers on Cho Oyu. Congrats to the team: Martin Jonson, Agnes Sauvage, James Patterson, Carlos Vallejo, William Considine, Phil Desjardins, Nicole Messner, Gary Kellund, James Harter, Peter Vaream, William Borland, and Steve Bridges. Also, a big thanks to Cho Oyu Trekkers, Shannon Smith, Greg Messner, and Shelly Bloom who traveled with the team across Tibet, trekked all the way to 18,500 foot Advanced Base Camp, and then visited Everest BC at Rongbuk on their way home. All-in-all, your planning, logistics, and Mike's leadership on the mountain contributed to an excellent experience from start to finish. I cannot express how satisfied I was with the entire trip. My history with you dates back to Rainier in the mid-1980's, so I'm speaking quite sincerely from experience. You run a great program, thank you! Machu Picchu private trek, July 25-August 10: James Billingsley, Debra Billingsley, Ian Billingsley, Isaiah Billingsley, Ellen Billingsley, Raheem Billingsley, Scott Billingsley, Thomas Blanchard, Nathan Blanchard, Mark Blanchard, Joan Blanchard, Jennifer Foster, James Foster, Nathan Ip, Colin Ip, Andrew Ried-Munro, Nicole Lux, Christopher Carr, Morgan Reisdorfer, Nathan Reisdorfer, James Gause, Hunter Larsen, Wyatt Larsen, Linn Larsen, Sarah Merrell, Sabrina Robinson and Jimmy Dunn. 2006 was the end of era for Mt. Rainier Alpine Guides. 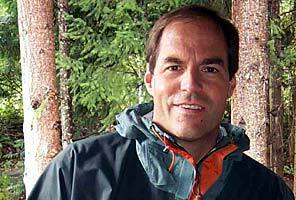 Started in 1997 by Eric Simonson and Paul Baugher and acquired by IMG in 2005, MRAG set a standard for 2:1 client:guide climbing on the Emmons Glacier and popularized the Rainier Circumnavigation. 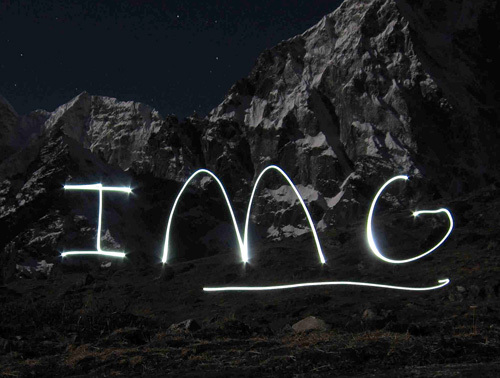 MRAG, as a company and as a name, is now gone, but 2:1 guiding on the Emmons will carry forward under the IMG banner. And, the tremendous association established with the Crystal Mountain Ski Resort also carries forward. IMG continues to base all Emmons programs out of Crystal Mountain and the Alpine Inn. However, IMG will no longer be able to conduct MRAG's famous Circumnavigation. Mt. Rainier National Park has placed all the west side of Rainier off limits to commercial activity. So, congratulations to all who have done this trip through MRAG in the past. It may be a while before we're able to conduct the next. 2006 was another great year in a succession of great years on the Emmons. Our safety and success record remained intact. 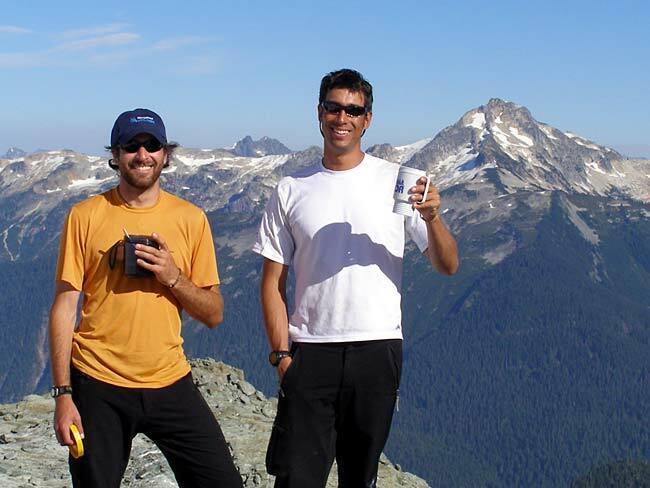 As we have done in past years, we worked with the Washington's National Parks Fund on one of our climbs to raise dollars to support projects in Mt. Rainier, North Cascades and Olympic National Parks. IMG will continue to do so in the future. 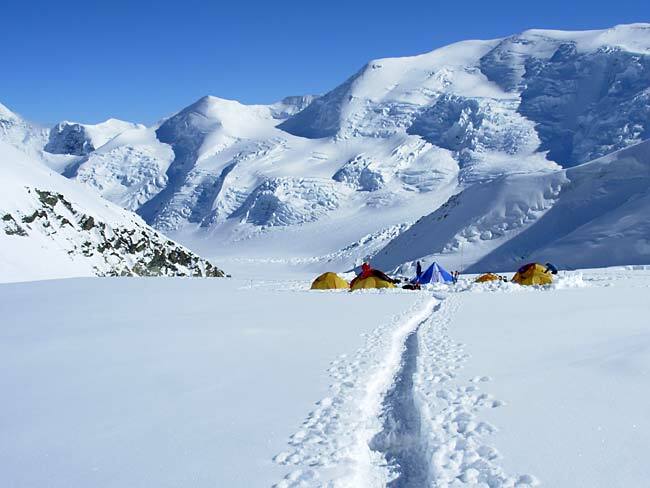 2007 will see IMG conducting climbs on many Rainier routes including the Emmons, Kautz and Muir Corridor. And, we'll be able to do Liberty Ridge and other selected climbs. We can't tell you how excited we are about the future on Rainier. You HAVE to join us soon. Just imagine what it's going to be like climbing Rainier with IMG guides and at a 2:1 ratio? Pretty darn exciting. 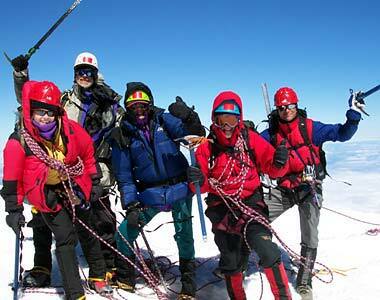 Thanks to all who climbed with us in 2006. Thanks for your teamwork and your spirit. You made each 2006 climb a great one! Emmons Route June 3-7  guides George Dunn, Jason Tanguay, Anne Keller and Eric Stevenson, climbers Ian Olgeirson, Michael Bellamy, Sr., Michael Bellamy, Jr., Yussuf Osmani, Giovanni de Luca, Rebecca Jacobsen, Tony Burtt and Mark Pressley. Emmons Route-WNPF/Microsoft June 17-21  guides George Dunn, Phil Ershler and Anne Keller, climbers Daniel Odievich, Jeffrey Stamerjohn, Jeffrey Hamblin, Benjamin Glenn, James Waletzky, Scott Jensen, Gregory Chappell and Rebecca Hjorten. Emmons Route July 9-13  guides George Dunn, Jason Edwards, Ang Dorje and Aaron Mainer, climbers David Rubin, Mark McConnell, Patrick Quartes, Joseph Tanner, Kirk Heyne and Chris Reilly. Emmons Route-Special Private August 6-10  guides Phil Ershler, Tap Richards and Mark Tucker, climbers Ernesto Cruz and Susan Ershler. 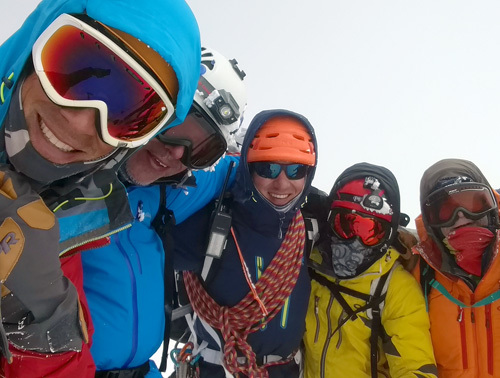 Rainier Circumnavigation June 9-15  guides Anne Keller, Eric Stevenson, Kevin Slotterbeck and Aaron Mainer, climbers Stephen Maxwell, Wayne Simpson, Brian Simpson and Thompson Walton. The North Cascades contain some of the best alpine peaks in the States. If you have never been there before, start with Mt. Shuksan, the most often photographed peak in the US. The Alps remain one of my all time favorite places to climb and visit. These programs have it all, from beautiful scenery to spectacular peaks to great accommodations in picturesque villages. No, I'm not throwing these adjectives out just to make it sound good, this is the way it is! The Alps Classics program remains the gold standard in this series. 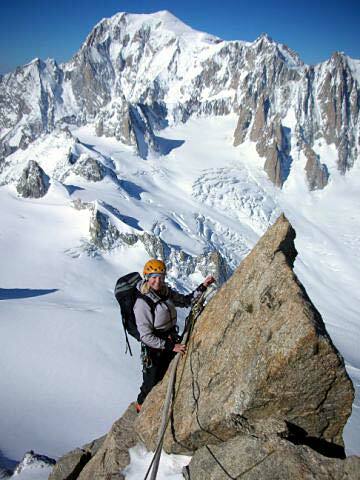 The Matterhorn is a tough rock climb, dependent on good weather for success, but remains one of the big goals world wide for alpine climbers. 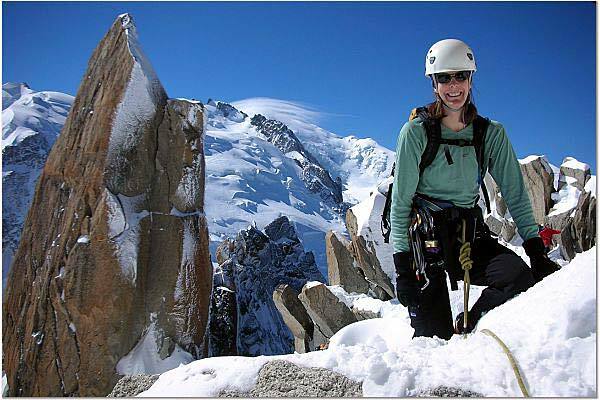 Our returning climbers all agree that Chamonix is the alpine climber's Disneyland. There is so much quality climbing to be done right out of the town, you could spend years here and never run out of world-class options. 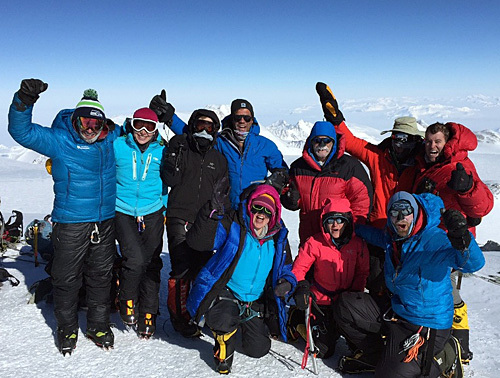 This program was designed for and by our veteran Alps climbers and was an instant success. I love rock climbing in the later summer and fall. It is a great way to wrap up the summer months, and you never have to carry a heavy pack! Joshua Tree is without question one of the world's great rock climbing destinations. The high desert environment is beautiful and the weather is warm and conducive to great training and climbing opportunities. Congratulations to our July 2006 team  guides Jason Edwards and Igor Tsarouk, climbers Brenda Gordon, Chipper Johnson, David Carlin, Edward Amdahl, Edward Cebulko, Pat and Rob Hart, Jodie Edwards, John Barton, Leo McLean, Peter Diana, Reggie Vaden and Terri Franklin. Congratulations (or is that condolences) to our August 2006 team  guides Phil Ershler and Igor Tsarouk, climbers Bill Harper, Jim Keyes, John Whetzell, Ed Lyon, Howard Galligan, Jeff Rollins, Joe Lawson, Kevin Ramundo, Mathew Pattison, Paul Kent-Snowsell, TA Loeffler and Tony Pierce. Smith Rocks in eastern Oregon is an equally attractive rock-climbing destination. 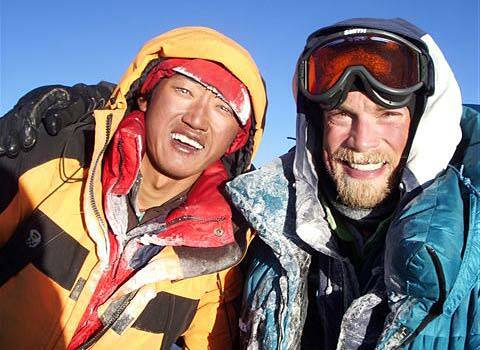 Last fall it was the scene of IMG's 2005 Ama Dablam expedition reunion. This wasn't a guided program, just a fun reunion of friends. A good time was definitely had by all, thanks to Carl Werts, Mark Ursino, Pat Luke, Robin Desota, Lauren Desota, Cameron Ceglia, ace rock star Marilyn "MG" Geninatti, chief rock guide Jeff Ward and me. Thanks guys for a great end to a fabulous year. See you next year  where to this time? Great trek. 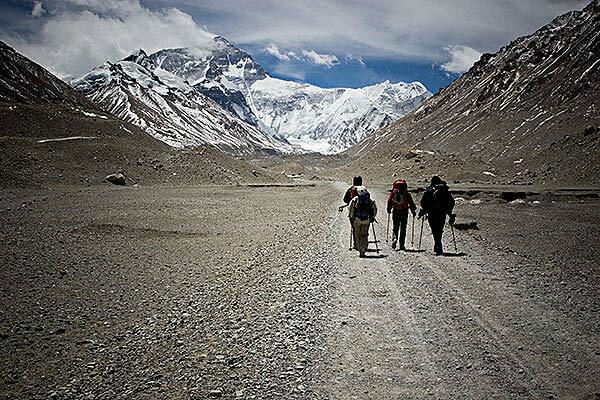 Simply a great trek. And, can you believe, our team had lunch in the home of Nawang Gombu in Darjeeling! Our host, Nawang Gombu, has been a close friend for 35 years. 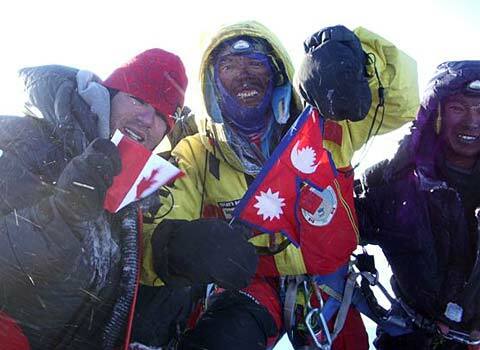 Gombu is the first man in history to climb Everest twice! Unbelievable! Our IMG team shared lunch with Gombu in his house and listened to his stories for over 2 hours. The house is like a museum, with photos of Gombu with various other famous climbers and dignitaries and his numerous awards and medals. It was our great privilege and our great honor to share time with our old friend. The trek wasn't bad, either. The weather was flawless as we approached our goal and high point, Goencha La. We had perfect unobstructed views of Kanchenjunga, which I first climbed in 1989, just five kilometers away. Don't worry  we'll be back. Maybe in 2008. When we go back, we'll definitely be accompanied by our great Sherpa crew from Darjeeling, including leader Dawa Tenjee and cook, Raj Komar. 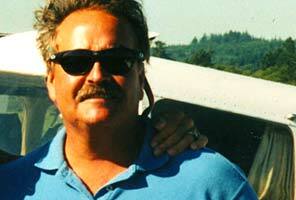 In fact, both men will join me in Bhutan in October 2007 for our trek there. I'm not going anywhere without those guys! Congratulations to our October 2006 team  guides Phil Ershler and Dawa Tenjee, trekkers John and Gerlinde Whetzell, Mike Schiller, Anne Wallace, Kristin Hill, Eric Warren, Patterson Kraber, Stewart Fleming, Susan Cahill and William Warnke. The November 2006 team did a great job, especially on Orizaba. As our group descended after reaching the summit, they watched as others had to turn back without the summit. 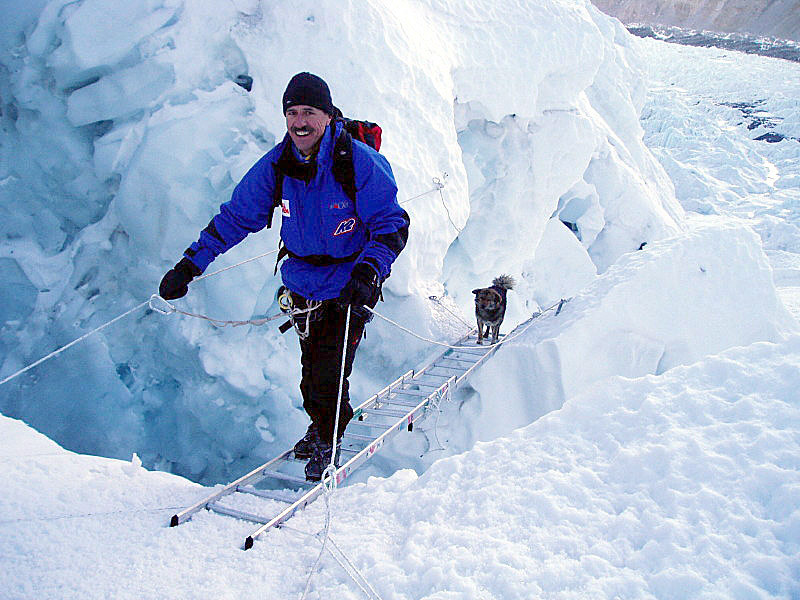 We also want to acknowledge the work of guides JF Carrey, an Everest summiter from Canada, and our old Mexican friend, Oso (the bear). 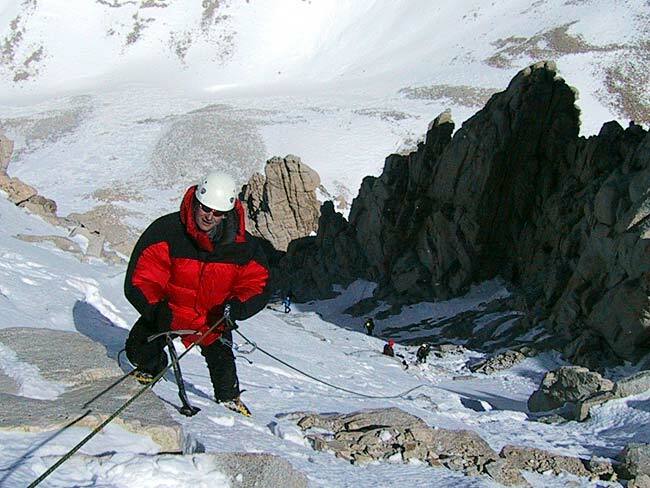 Congratulations to our November 2006 team  guides Tap Richards, JF Carrey and Oso, climbers Amanda McCoy, Edward McCord, Glen Archer, James Hasse, Michael Hasse, Michael Worel, Paul LaPierre, Paul Weatherall, Thomas Pelland and Won-Gil Woolley. 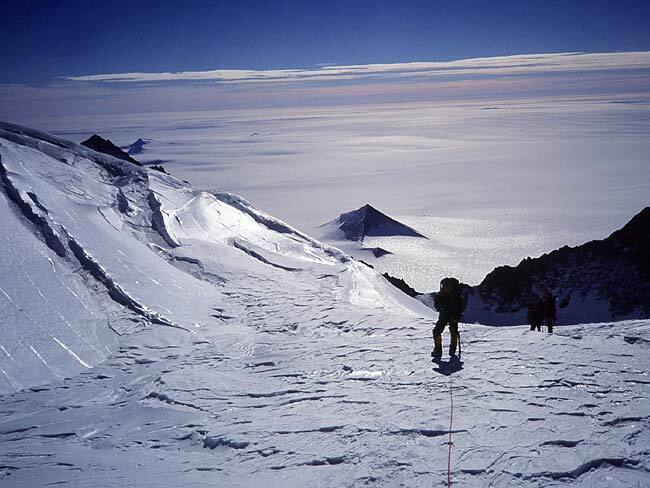 Vinson Massif is a tough expedition from a logistics standpoint. 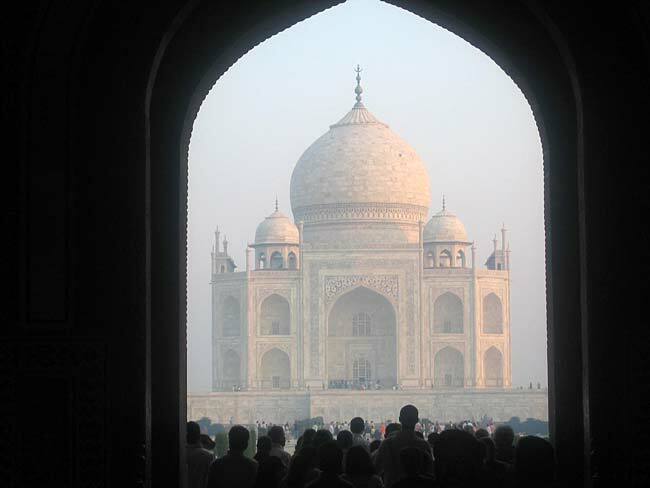 In 2005, all three IMG groups got in and out on schedule and all three were successful. Wasn't quite so easy in 2006. Flights were delayed on the way in due to weather and the team faced delays on the return, also due to weather. But, that's to be expected. After all, it's Antarctica! All our team members know where they're heading and are even excited by the uncertainties. But, all delays are easy to accept when you've stood on top of the bottom of the world. And, that's exactly what the November 2006 IMG team did! IMG Senior Guides, Mark Tucker and Mike Hamill, did a simply sensational job in getting our group of climbers up, off and out safely. Four guided groups left for the summit on the same day. The IMG was one of those teams. One team reached the summit. That was the IMG team! Incredible! We even took a member from another team along to the summit. This is a big deal. Climbers invest a large sum of money and a good chunk of time in this attempt and we're proud that the IMG team pulled it off. Safety can never be compromised but we also understand that we're in business to provide the opportunity to reach the top, when we can. Mark, Mike and the entire team did just that and the results speak for themselves. WOW! You'll find us down on the Ice again next season. 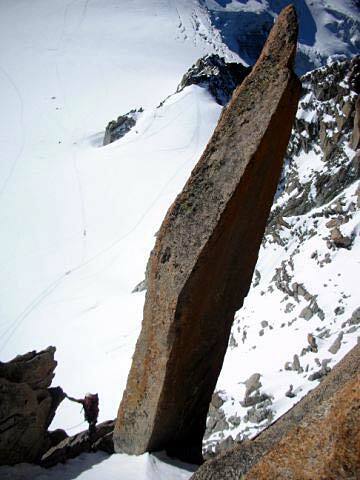 Check out the details Vinson Massif. Don't wait. Prices for the flight are going up about $1000 a year right now. Let's get down there while we all still can! November or December 2007? I plan on personally going down to lead the November 2007 trip. Coming? 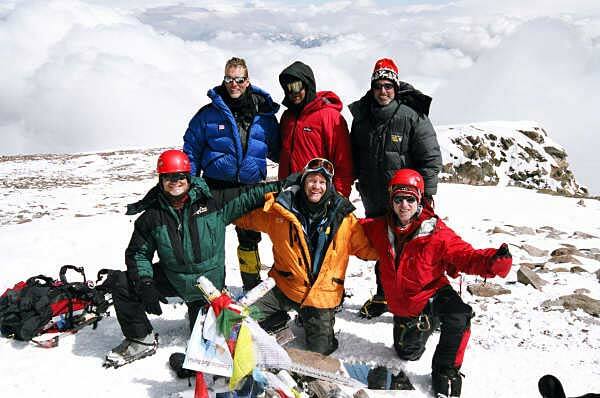 Congratulations to our November 2006 team  guides Mark Tucker and Mike Hamill, climbers Dan Griffith, Rex Pemberton, Roger Burleigh, Karyn Ohlsen, Trent Carey, Joe Lawson, Sylvia Moser and Jaroslaw Hawrylewicz.